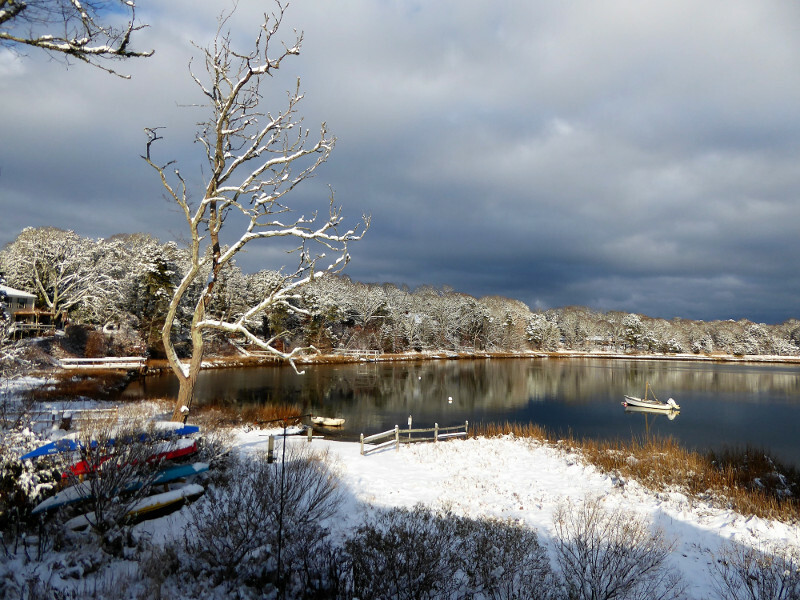 Lonnies Pond is a five acre salt water estuary off of Pleasant Bay accessable from Herring Brook Way. There are two landings on the pond, both along Herring Brook Way - one paved with parking for 4-5 cars, and one by the herring run. 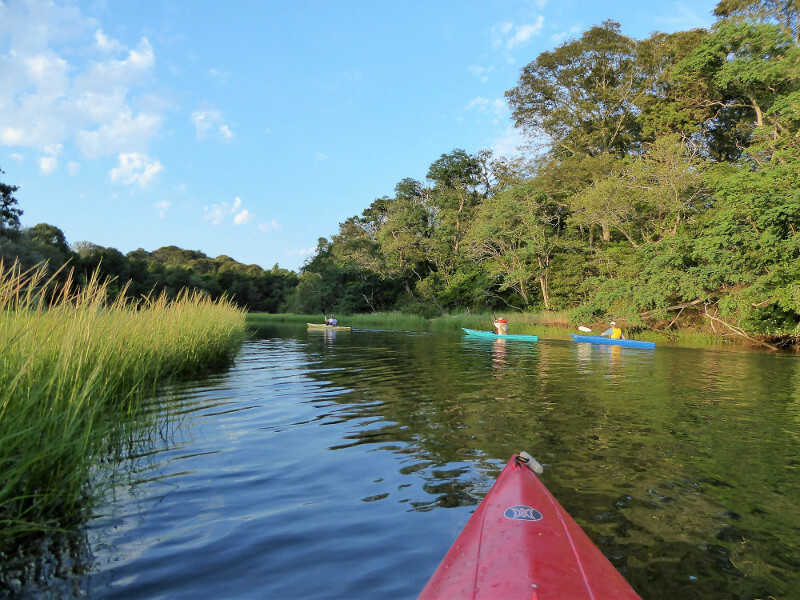 During low tides, the channel to Pleasant Bay can get as low as one foot deep, so the landing is more suitable for launching kayaks or paddle boards. 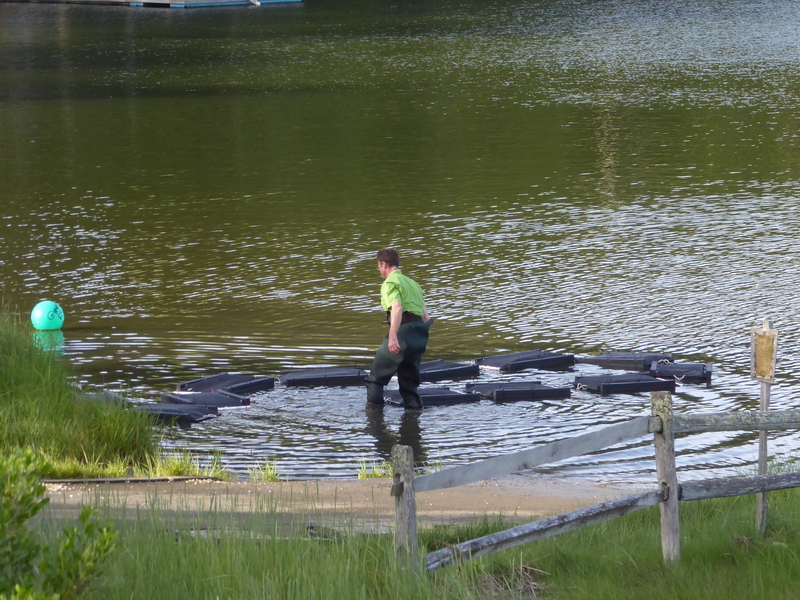 There is a herring run at the southwestern corner of the pond which winds its way up to Pilgrim Lake. There are two species of herring which run up to Pilgrim Lake in the spring - alewife and blueback. The alewife run when the forsythia bloom and the blueback run when the lilacs do. The herring spawn in the lake, then make their way back to the ocean. The young make their way to the ocean August through October. This run has been successfully reestablished with strong volunteer help and the herring counts on the run have grown from almost zero to thousands per year over the past 10 years. 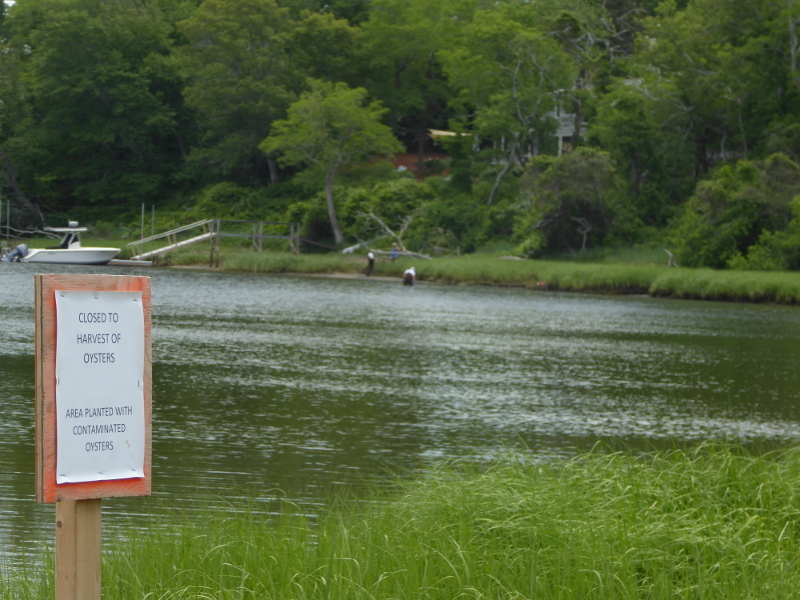 Lonnie's pond is occasionally fed with fresh water emanating from Crystal Lake. The cranberry bog at the southern tip of Crystal is flooded with fresh water in the fall for harvest and in the winter to protect the vines from winterkill. After the flooding the water is released into Lonnie's Pond through a pipe which discharges under water to the left of the paved landing. The Town of Orleans initiated a project in 2016 to grow oysters on the pond to determine whether they could be used as a partial substitute for sewering. The towns on Pleasant Bay are under an order from the Environmental Protection Agency to reduce the nitrogen leaching into the waters from residential septic systems. The western bank of Lonnie's Pond is part of the Kent's Point Conservation Area. 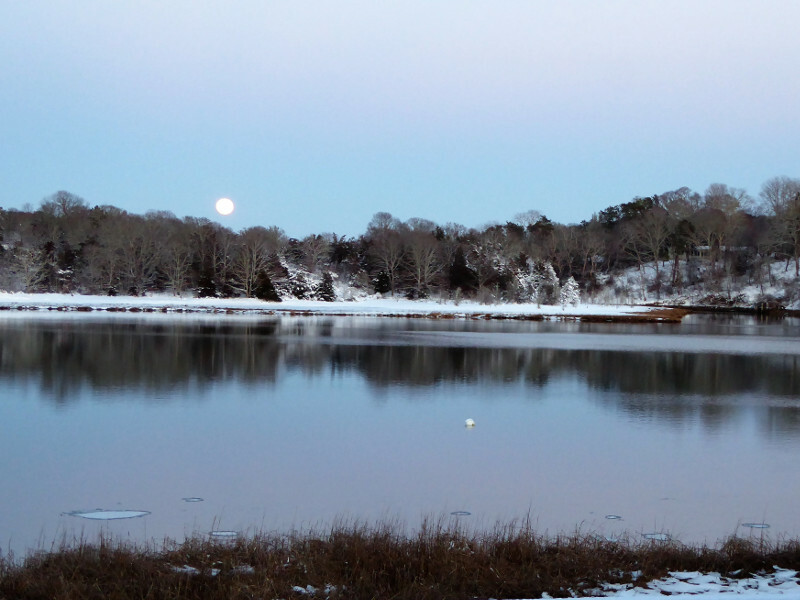 Kent's Point runs along the northern half of the Kescayogansett River and out into "The River". Kent's Point consists of 12 acres and is great for hiking and dog walking. 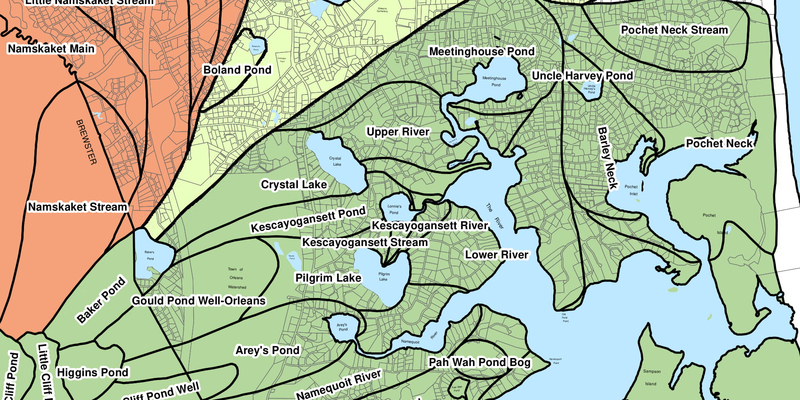 There are a number of good routes for kayaking or paddleboarding out of Lonnie's Pond. North takes you by Frostfish and Henson's Coves, past the White's Lane Conservation Area, and up into Meeting House Pond. South takes you to either the Namequoit River and west up into Arey's Pond, or south between Namequoit and Viking Points into Little Pleasant Bay. Further exploration will take you to the back side of Pochet Island and Pochet Inlet, to Sampson and Hog Islands, or south to Pahwah Pond and the Narrows. In 1996, Pam Herrick wrote a note to the Orleans Conservation Commission indicating that a group of concerned "Friends" had held a meeting the previous summer, and wanted to assist in monitoring and helping to restore the health of Lonnie's Pond. The Friend's of Lonnie's Pond have been meeting ever since.